I grew up in the 80s & 90s watching the classic films of the 70s. They possess a certain feel and rhythm that I still enjoy to this day, and often they stand out in my mind with a sense of nostalgia all their own. I assume I’m not alone in my love of that decade’s movies, from the outfits to the cars, the original songs to the slower paces. Jeremiah Johnson, Deliverance, Jaws, Rocky, The Poseidon Adventure; I’m not saying these movies are all similar, nor that the 70s is a genre. But looking back on that era now you pick up on a specific vibe & pace, a fashion, a feel, an atmosphere. 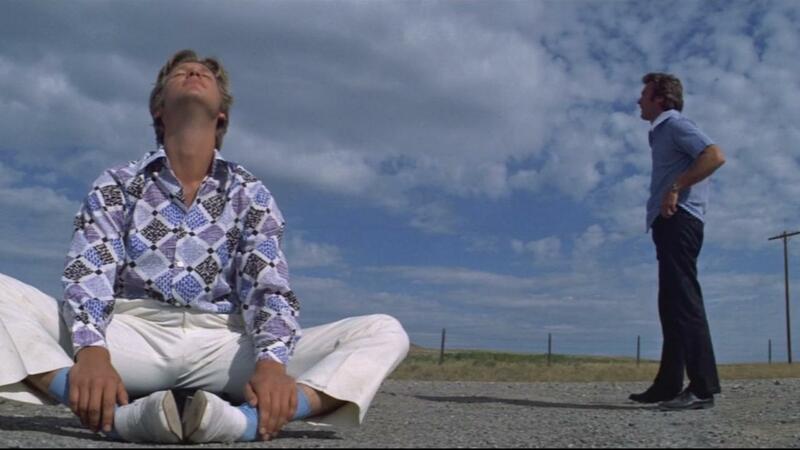 Thunderbolt and Lightfoot was one of the films I watched when I was young, perhaps fifteen or twenty years after it was released, a 70s gem that not only takes you on a wild ride like the others I mentioned, but delivers that wonderful mood that I grew up loving. Thunderbolt is the cagey veteran, the old crook, the master of the heist, and also the guy who everyone wants to kill. Years ago he was part of a robbery gone right, a deal in which the money was stashed away and the criminals never caught. The only problem is that the guy who hid the loot died and the rest of the crew think Thunderbolt has the cash. So he’s on the run from men who used to be his friends, and might be in need of a new pal to watch his back. Lucky for him that Lightfoot comes along, just a kid stealing a car, a free spirit on the lookout for any trouble he can get himself into. Well, his new partner has plenty and is willing to share, so the two set out on the road to see what sort of mayhem they can dig up. Only, the old crew who want the old money aren’t giving up easy, and when they find Thunderbolt and Lightfoot they demand the cash. Seeing as no one can really get to it, the unhappy foursome decide to team up, to pull a new job. Actually, they decide to pull the same job as years ago, hitting the same vault and making off with the same fortune. Thunderbolt is the mastermind, Lightfoot the young blood, Red the brawn, and Goody the driver. Their mission; to develop a foolproof plan while working menial jobs, take their time with the setup, solve the security of the vault, and ride into the sunset as rich men. But you know what they say about best-laid plans, and this heist in no exception. 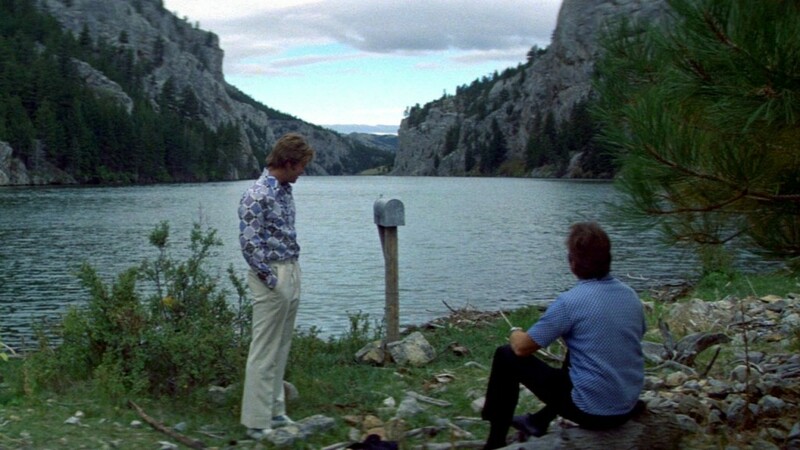 If you enjoy that 70s touch I was clumsily attempting to convey through words as much as I do, then Thunderbolt and Lightfoot is the film for you. It’s got everything you’re looking for: the homely shirts, the fast cars, the loose women, the language of the time, and the slightly slower pace that grooves audiences right into the action. Modern films could take a lesson from some of these 70s classics, learning how to use exciting moments to their advantage but not over doing them to the point of nausea. There’s a certain coolness that these movies possess, a certain way of making the heroes look & seem, like they’re mavericks fighting against an unjust world. Using the word ‘cool’ brings Cool Hand Luke to mind, though that was a 60s film. This movie could be paying that one homage with the way it makes crime seem smooth, stoicism seem manly, and the middle of nowhere the best place to be, man. But perhaps the biggest reason that this film sticks with me the way that it does every time I watch it is Jeff Bridges. He didn’t start doing movies until the early 70s (The Last Picture Show, The Last American Hero, The Iceman Cometh) and really didn’t hit it big until King Kong and Tron a few years later. 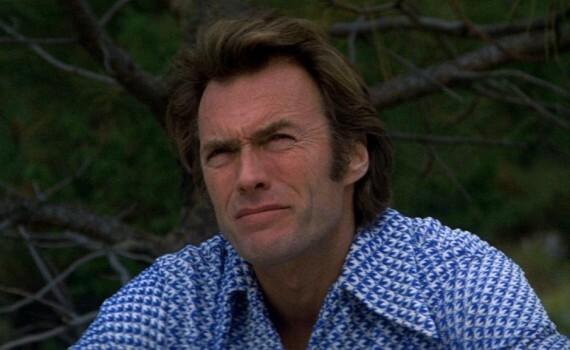 In between was Thunderbolt and Lightfoot, a movie he got to be a part of alongside Clint Eastwood, an actor who had already become Dirty Harry. Bridges is one of my favorite actors to this very day, and this film has a career-launching feel. He plays the part erratic, likeable, silly; youth personified. It’s a perfect compliment to Eastwood’s more low-key performance, Peter Pan shadowing the Pale Rider. The duo play off each other well, creating a team to root for, even when they’re robbing their way to happiness. It’s a film with a feel, with a story as a backdrop, with characters to remember for years. 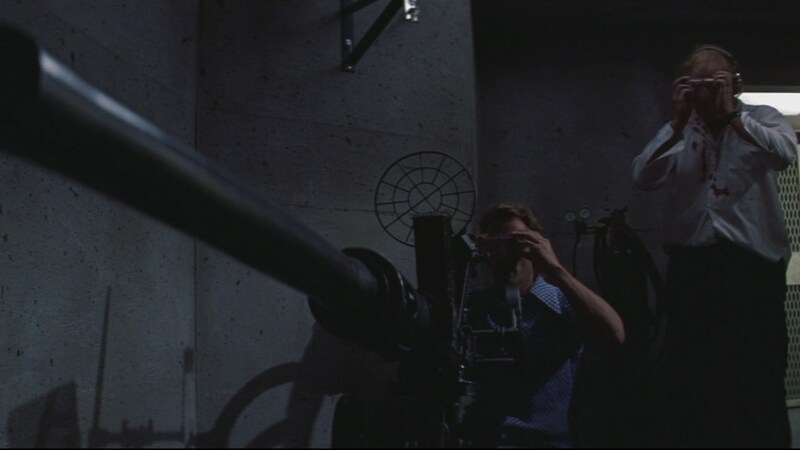 Video – With an aspect ratio of Anamorphic 2.35:1, the video is the only thing about this film that doesn’t scream 70s. It’s a higher quality than you might expect, featuring a clarity of picture that should impress, shot using Panavision lenses. The color and beauty of the scenery sets a great backdrop, and the authenticity of the small town makes the visuals seem very real. Audio – The only audio option is the turning on or off of English subtitles. The sound quality of the film is right in line with what you would expect, without the warbling that we so often here on the old tracks. The original song was a nice touch, though not a spectacular piece of artistry. Extras – On the disc is an original theatrical trailer for the film and a poster gallery featuring twelve movie posters with different Eastwood grimaces. Recommended. Fans of the time period or those who have a nostalgic attachment to this film won’t be disappointed in a re-watch. It’s the goods when it comes to 70s cinema, making crime seem cool and the world meant for exploring. Not only that, but in it we see genuinely solid performances from two great actors, one in the prime of his career and one just starting out. Sit back for a film that is one part adventure and one part introspection, becoming something special in the end. The video is strong, the audio fine, and the extras few. Watch for a time capsule moment or for some light action; both are available here in a film that won’t go down as one of the greatest classics of its decade, but shouldn’t be far behind.